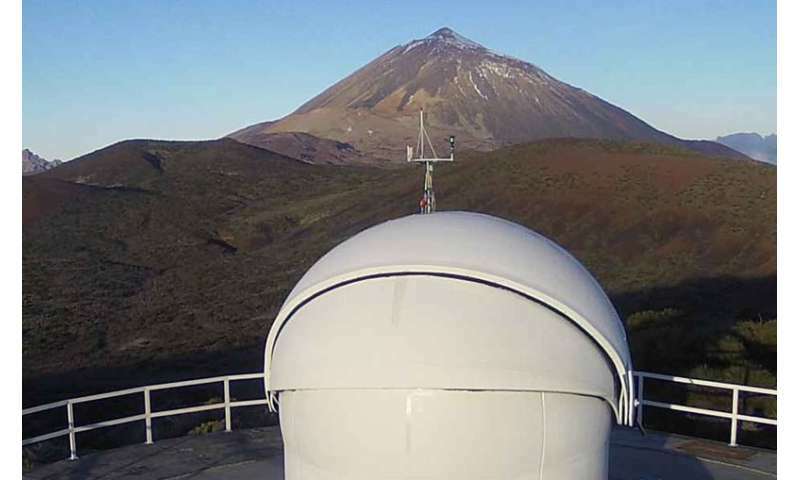 One of the MASTER Global Robotic Net telescopes (MSU) located on Tenerife (Spain, Canary Islands) helped astronomers observe the gamma-ray burst caused by the collapse of a star and the formation of a black hole in its place. Standard telescopes are unable to point to gamma-ray bursts error-boxes fast enough to monitor the change in its brightness and obtain any information about its source. The scientists dedicated the new object to the physicist Stephen Hawking, and reported the finding in The Astronomer's Telegram. Gamma-ray bursts are registered by space observatories daily. These energy outbursts follow the collisions of neutron stars or the collapse of a massive star into a neutron star, a quark or a black hole. Huge amounts of energy are released in these cases, and telescopes can detect gamma-ray bursts even if they happen millions or even billions of light years away from the Earth. Gamma-ray bursts last from several milliseconds to dozens of seconds and are registered in different ranges. "The main task of MASTER Global Robotic Net is to see the early optic emission until the burst fades down. In the optical range, we saw the whole event from the beginning to end. This is a rare occasion that happens only twice or thrice a year, and as a rule, such observations are carried out using MASTER robotic telescopes," said Vladimir Lipunov, Professor of the Faculty of Physics at MSU and the Head of MASTER Global Robotic Net. 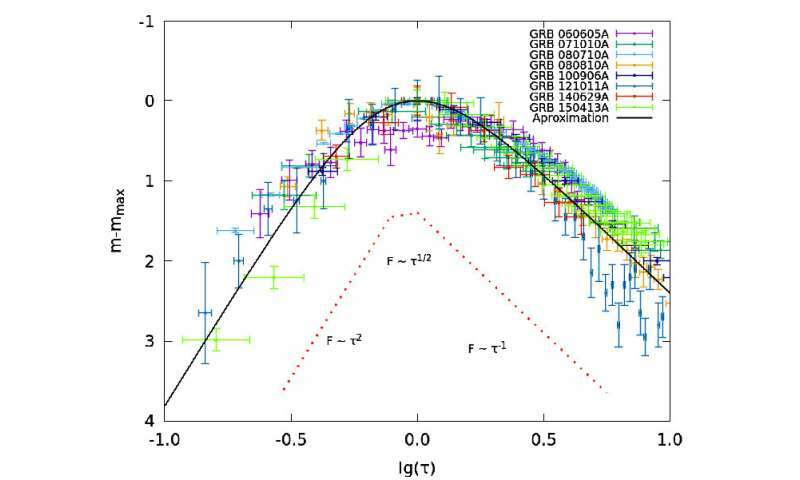 Astronomers also managed to obtain the light curve of the gamma-ray burst (it was assigned the code GRB180316A) and to calculate its exact coordinates. The light curve met the ideal shape noticed in several different gamma-ray bursts and named SOS-emission (Smooth Optical Self-similar Emission) in 2017. The name is a reference to the source of such a gamma-ray burst—the death of a star. 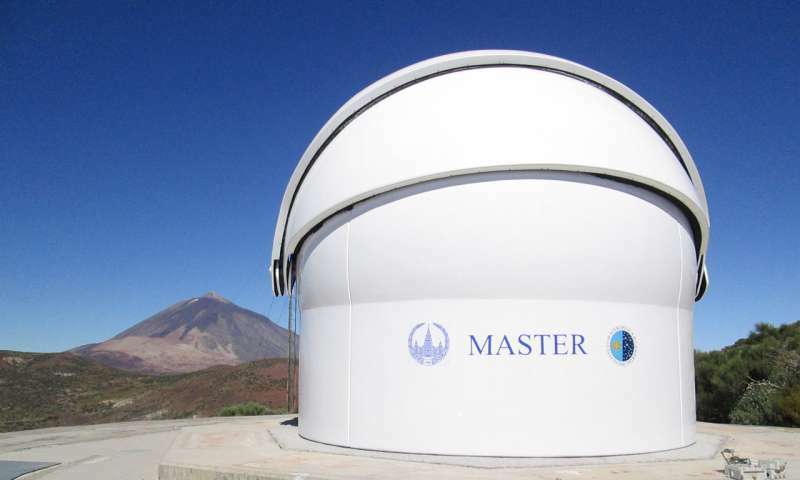 The advantages of the MASTER system compared to similar ones lies in the quality of the mathematical software (MASTER-robot), the number of telescopes, and their locations (eight units are situated in different parts of Eurasia, in South America, in the south of Africa, and on the Canary Islands). Another feature is the targeting system that allows the telescopes to quickly focus on gamma-ray bursts' optical counterparts, sources of gravitation waves, high-energy neutrinos, ultrahigh energy bursts, and other events. All these factors create the best conditions for the observation of gamma-ray bursts in the optical range.